The map was designed by Laura Fernandez Arquisola as a special edition for Lena Späth and the book Behind Closed Curtains: Interior Design in Iran. 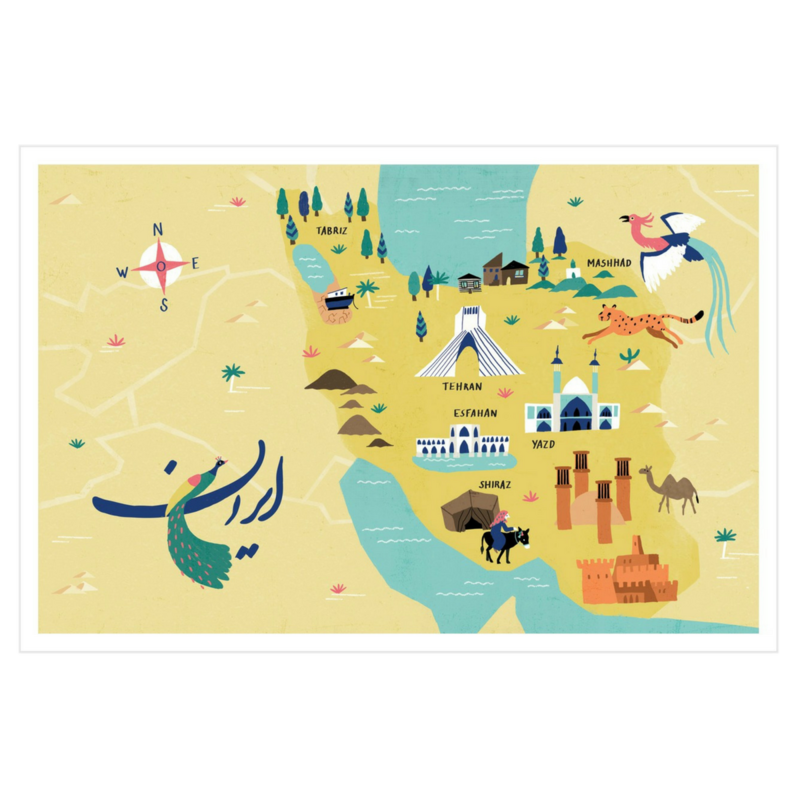 It is the first hand-drawn map of Iran in this style and includes most major cities. You buy a high-quality print in A4.